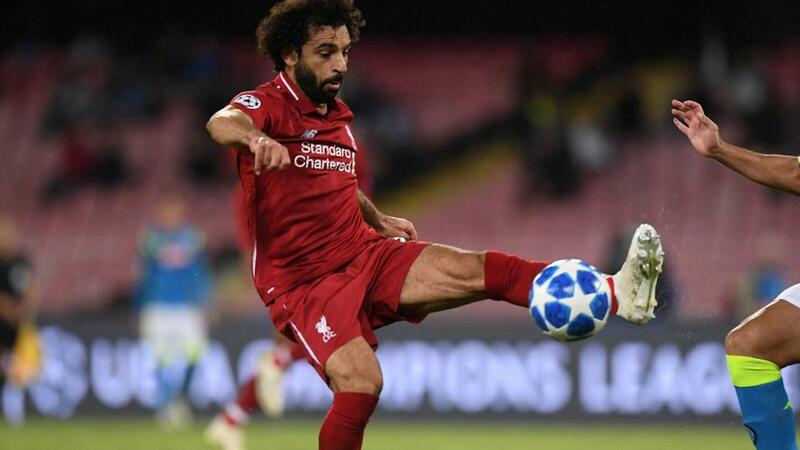 Mo Salah had a tough game against Napoli midweek and now faces Manchester City. Steve Rawlings says: "Having played some tough fixtures already this season, Brighton will be hopeful of getting off the mark at the Amex Stadium against West Ham. Manual Pellegrini's Hammers are in a rich vein of form though and it's a tough tie to call but goals could be on the agenda and the 2-2 scoreline makes some appeal at a juicy price. Brighton 2-2 West Ham." Simon Mail says: "Sean Dyche's side have won their last two league matches while Huddersfield are bottom and have only managed three goals in seven games. Burnley 2-0 Huddersfield." Jamie Pacheco says: "With no wins at home this season, we don't want to be with the hosts. Wolves have been excellent so far and are unbeaten in their last five in the league. They can keep on going here and pick up three points, albeit by the single goal. Crystal Palace 1-2 Wolves." Andrew Atherley says: "Neither team makes a convincing case for the win but the question marks over their defensive capabilities suggest there will be goals. Leicester 1-1 Everton." Andy Schooler says:"Both teams score a lot in Tottenham games and despite Cardiff's struggles, they still managed to find the net at Chelsea recently. Spurs' backline and midfield is injury hit and while the hosts should win, it will likely be a battle. Tottenham 2-1 Cardiff." Mark O'Haire says: "Neither Watford nor Bournemouth have managed a clean sheet since the opening day of the season and the two teams have combined to produce a collective 29/45 (64%) successful Over 2.5 Goals selections in their home/away games since the start of last season. Considering the Hornets also W7-D4-L4 when entertaining non-Big Six teams at Vicarage Road in the same sample, and Bournemouth boast 50% loss rate on the road, the 2-1 home victory should give us a good run for our money. Watford 2-1 Bournemouth." Dave Tindall says: "Two sides at the bottom end of the entertainment scale this season but Man Utd should just about have enough to fall over the line. The hosts are struggling for goals too so might have to do this by the minimum margin. Man Utd 1-0 Newcastle." Jack Lang says:"Both of these defences give up plenty of chances, so there's a good chance this will be a belter - perhaps with the visitors' extra quality telling in the end. Fulham 2-3 Arsenal." Dan Fitch says: "Chelsea remain unbeaten this season, but after consecutive draws they need to get back to winning ways if they are to compete in the title race. The Blues should take three points in a close game against a competitive Southampton side. Southampton 1-2 Chelsea." Kevin Hatchard says: "This should be another sensational clash between these two Premier League heavyweights. Brazilian keepers Alisson and Ederson will have a busy 90 minutes. Liverpool 2-2 Manchester City."